Absolute Style Limousines provides top-class limo services in and around Northampton. We are a full service limo hire company with a large fleet of limousines for you to choose. Our limo hire Northampton services are very popular in the region as we have the most stunning range of limousines. Regardless of the nature of your limousine hire requirements, we offer you very impressive limo services that will make your special day memorable. Our prestigious collection of luxury vehicles include Stretched Hummer, Stretched Lincoln Town Car, Stretched Chrysler 300C and Super Stretched Excursions just to name a few. Irrespective of the nature of your limo hire Northampton requirements, we have the most apt vehicle that best fits your needs. You will find a luxury car that matches your special sentiments for the occasion. Our limousine hire Northampton services are highly comprehensive in nature. You can make use of our luxury transportation services for a wide range of needs including but not limited to weddings, birthday parties, prom nights, soccer matches, Valentine’s Day night out, graduation day ceremony, prom nights, stag and hen nights, anniversaries, concerts, sightseeing tours and much more. You just need to name your need and Absolute Style Limousines will ensure that your needs are met in the best way possible. We offer corporate limo services too in Northampton and the surrounding areas. Our limo services best suit your corporate needs such as airport transportation, corporate transportation for your VIP guests, work events and parties, Christmas and New Year celebrations brand promos and road shows. Absolute Style Limo offers the best limo hire experience. If you want to arrive in style on your special day regardless of whether it is your wedding or prom night, then we have stunning limousine for your special day. We come with several years of experience in offering commendable limo service. We know how to make your day memorable. Booking your luxury limo need not be a complicated process any longer. You can book your limousine in just single phone call. We will confirm your booking quickly. 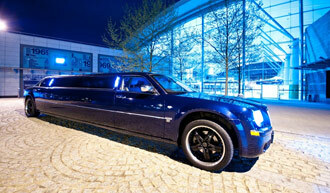 We offer very flexible limo hire Northampton services. We will provide you with custom packages after listening to your specific requirements. We have cost-effective limo hire solutions for you; choose Absolute Style Limousines and save every time you need to book a limo in Northampton and the surrounding areas. We are a very professional limousine hire service in Northampton, which you can count on, and we will never let you down. We have well maintained vehicles that make our services highly reliable. To make your rides enjoyable and save we have pre-screened, qualified chauffeurs. You are sure to love our limousines and their tastefully furnished cosy interiors. Our vast experience in offering top-notch limousine hire services help us provide you with very thoughtful Northampton limo services, which make our services, stand out from the rest of the service providers in the region. All that you need to do to access our premium limo service is to make a single phone call.